I started writing THE TIGER QUEENS on February 4, 2012. (Yes, I'm a nerd and keep records like that.) Almost exactly two years later, the revised manuscript has been sent off to my marvelous, and very patient, editor. This is a very, very good thing, as there were many times I thought this book might be my undoing. Each book presents its own challenges, but this one was like a Tasmanian devil crossed with a charging Egyptian hippo being whipped by Genghis Khan. All the Extra Stuff: Author's Notes, Character List, Bibliography, and a MAP! Number of Ice Cream Cakes Consumed During the Writing of the Novel: I lost count... Maybe 10? 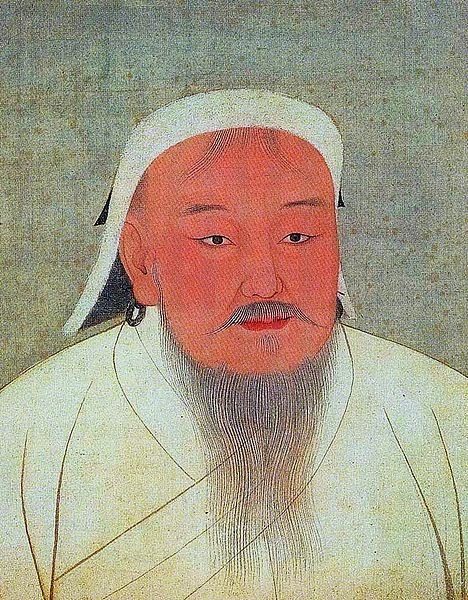 How Many Times I Cursed Genghis Khan: I seriously lost count. One day I'm going to write a nice contemporary novel set in Alaska, told from the POV of a high school history teacher. No one would ever want to read it, but it would be a heckuva lot easier to write! Now I'm off to research Alexander the Great for Book #4, and you know... eat more ice cream cake.